I am honored and privileged to serve as the President of the Mississippi Tennis Association, particularly since I have been involved in Mississippi tennis since I entered my first tennis tournament as a 7-year old at Tennis Center South in Jackson. My experience as a junior player, Mississippi collegiate player, and adult league player has enhanced my appreciation for the MTA and what it does for the game in our state. This has fueled my commitment to stay involved with an organization that has given me so much. I must commend my predecessor, Karen Newman Morgan, for her leadership as President of MTA over the past two years. Karen has been a passionate supporter of the game and has set a strong course for the MTA. I would also like to thank those who have served on the Board of Directors, volunteer committee members, and Tennis Foundation of Mississippi board members and supporters. In addition, the MTA staff members who work tirelessly to provide you your tennis experience. The annual MTA calendar is a prime example of the excellent work the staff is involved in throughout the year. It contains important information and dates for you to follow in 2019. The MTA has experienced another successful year! Special thanks to the work of the MTA staff, local league coordinators, teaching professionals, CTAs, team captains, and individual volunteers. League and junior play continues to drive Mississippi tennis forward. Here’s a sampling of news from our association. Earlier this year, Henry Harris (Natchez) and Albert Lyle (Jackson) were inducted into the Tennis Foundation of Mississippi Hall of Fame. These inductees have long been associated with the game and have left their stamp on Mississippi tennis. Past MTA President Dennis Miller (Madison) received The Jacobs Bowl award, which is the highest volunteer award given by USTA Southern. Congratulations to these outstanding tennis ambassadors! 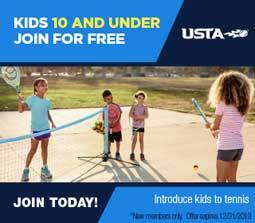 This is your association, and the purpose is to promote and grow the game of tennis for you, whether you are an adult player, junior player, parent, tennis professional, member tennis organization, or just a follower of the game. For players, your age or level of play does not matter. MTA is a part of the larger USTA, and the Southern Section, which includes nine states in the Southeast. Many Mississippians serve in important committee positions. These volunteers are key to our success here in Mississippi to grow tennis. Executive Director of MTA, Geoff Norton, and his staff focus on community development, junior team tennis, adult league play, player development, marketing and media relations, board development, volunteer engagement, facilities grants and much more. Most importantly, the staff is here to serve you, our customer. We want to get to know you and your tennis story. I encourage you to communicate with the staff. The best way for us to improve is to hear from you. Once the personal relationship is developed, we can then invite you to serve in the role that best fits you as a tennis volunteer. I invite you to visit MSTennis.com for updated information. Purchase a Mississippi Tennis license plate to show your pride in Mississippi Tennis. All proceeds from our car tag program helps fund our Community Grant Program to improve tennis facilities across the state. Follow us on our social media platforms Facebook (USTA Mississippi), Twitter (@USTAMississippi), and Instagram (USTAMississippi)! Share your positive Mississippi Tennis photos or stories on social media by using the hashtag #PlayTennisMS. At the end of the year, you will be eligible to win a $250 Tennis Warehouse gift certificate, Yeti cooler and many more items by participating. In closing, if I can provide any service to you, feel free to call on me at any time. I hope to see you at a local tennis event or on the courts during league play! I wish you a healthy and exciting 2019 year of tennis!